Empire Communities is pleased to announce the appointment of Michael Meneguzzi to the position of President, High Rise Division effective Monday, October 29, 2012. Michael is a real estate industry executive with more than 25 years' experience in high-rise and single family operations. "This is an exciting time for our company as we continue to grow and look for opportunities to expand our business. To that end, we have been sourcing senior talent to drive profitable operation and growth and lead a divisional team to establish and maintain exemplary customer, employee and public relations and increased revenue," says Dan Guizzetti, President and CEO of Empire Communities. Throughout his career, Michael has held senior executive positions with several respected builders including Tridel Corporation in Project Management, Pulte Homes, one of North America's largest homebuilders in various operation roles culminating as Regional Vice President for the Great Lakes and Texas Areas. 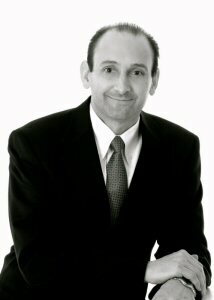 Most recently Michael was Vice President Development & Construction with The Moro Group of Builders in Toronto. Michael is a University of Western Ontario Graduate. Vaughan-based, Empire Communities (www.empirecommunities.com) is a residential builder/developer involved in all sectors of the new home building industry, including both low‐rise and high‐rise built forms, ranging from luxury to affordable housing. Empire has an established tradition of creating prestigious award-winning new homes, communities and amenities and has earned a reputation for outstanding attention to detail and customer service. Since its inception in 1993, Empire has completed or is currently completing approximately 3,200 high‐rise condominium units and approximately 7,500 low‐rise units, predominantly in the GTA, South Western Ontario region and the Southern U.S. States.